Labor candidate for Brisbane Lord Mayor Rod Harding has unveiled his integrated traffic and transport plan, Connecting Brisbane’s Future, which features a new light rail network. Mr Harding said that with one million extra people set to call Brisbane home in the next 15 years, Brisbane must start properly planning for the future. He said Brisbane’s congestion was costing $2.3 billion every year and was projected to increase to up to $5.9 billion by 2030. At the heart of the new policy is a detailed plan to deliver a modern light rail system for Brisbane. “This transformational project will help change the way we move as a city,” said Mr Harding. The first stage of this project will stretch through the high growth areas of Newstead and South Brisbane, connecting to the University of Queensland. Brisbane Light Rail initial route. [/caption]Mr Harding said work would begin immediately should he be elected, with construction commencing in his first term as Brisbane’s new Lord Mayor. The estimated capital cost of the project is $1.2 billion. A Harding Labor Administration will commit up to $120 million towards building the initial route, approximately 10 per cent of the estimated capital cost. "With our money on the table, we will be in a strong position to approach other levels of government and the private sector to deliver this project," Mr Harding said. "Given the recent Federal Government funding for Stage Two of the Gold Coast Light Rail, we are confident of positive support. "Funding will be shared between Brisbane City Council, the Federal and State Governments as well as the private sector, consistent with the funding model used for the successful Gold Coast Light Rail. 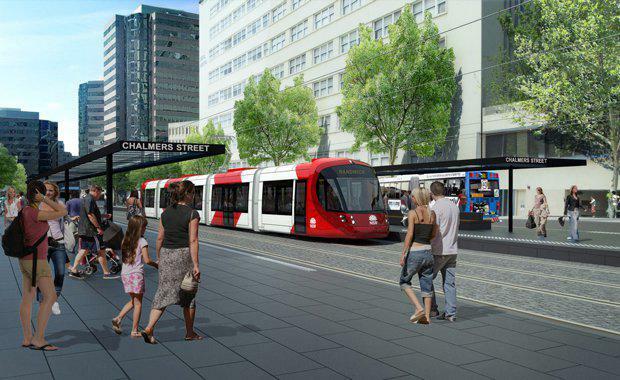 Brisbane City Council will invest an initial $20 million for the business case to get the light rail project shovel-ready, with an additional $120 million investment in capital expenditure. Mr Harding said the modern light rail would help tackle congestion by changing the way Brisbane moved.